An undergraduate student in the Randall Research Scholar program (formerly Computer Based Honors). Tim has worked on several projects with the most intensive one being a rewrite and update to a pavement analysis software package called ILLI-SLAB. In addition to his coding skills, he is currently working the laboratory making alkali-activated materials and characterizing their set time. 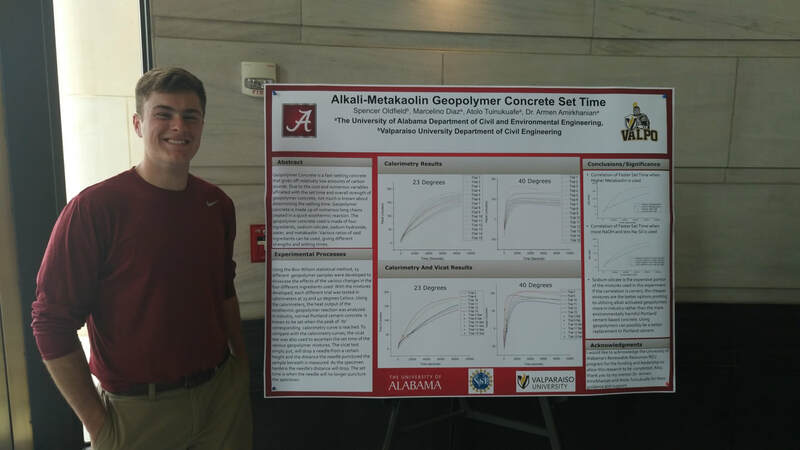 An undergraduate student currently working on examining the relationship between alkali concentration and resistivity measurements and the role they play in calculating the formation factor of alkali-activated materials. An undergraduate student who first started working in the lab as part of the NSF REU program (see below). He is currently examining the setting behavior of alkali-activated materials as a function of alkali concentration. 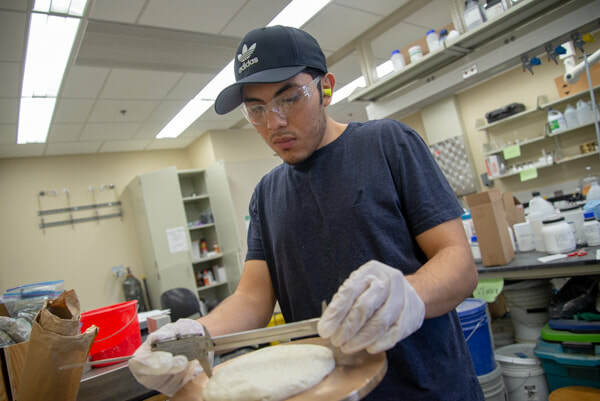 An undergraduate student working on examining the effects of various oven vacuum drying regimes on concrete specimens. This work will lead to the development of guidelines on how to acheive various ranges of degrees of saturation (DOS) for concrete mixtures rapidly and accurately. I was extremely fortunate to have three outstanding students this past summer for the NSF REU program. The general theme of their research was alkali-activated materials. Each student's project is described below. 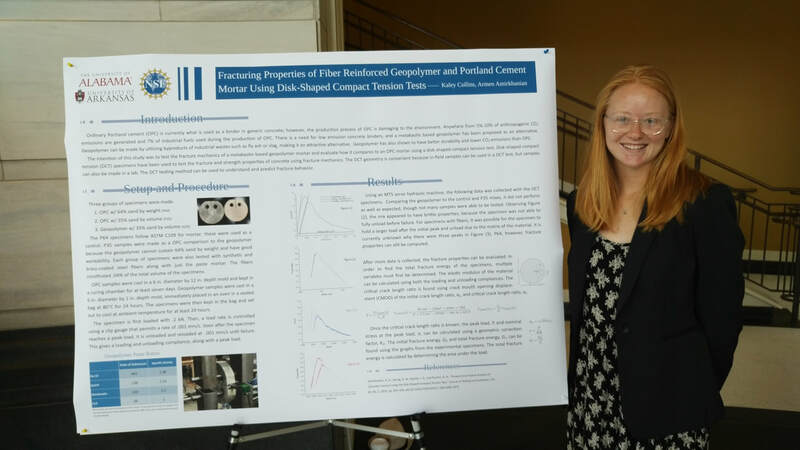 Kaley Collins, from the University of Arkansas, worked on utilizing the disk-shaped compact tension test (DCT) to characterize the size independent fracture behavior of alkali activated materials. We discovered a lot this summer, namely the alkali activated materials are significantly more brittle than traditional concrete and the existing DCT test parameters need to be modified. 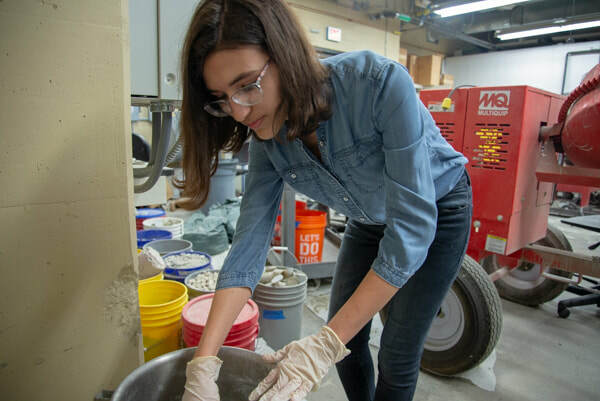 Additionally, Kaley examined the feasibility of using waste bamboo fibers to reinforce both portland cement concrete and alkali-activated materials. 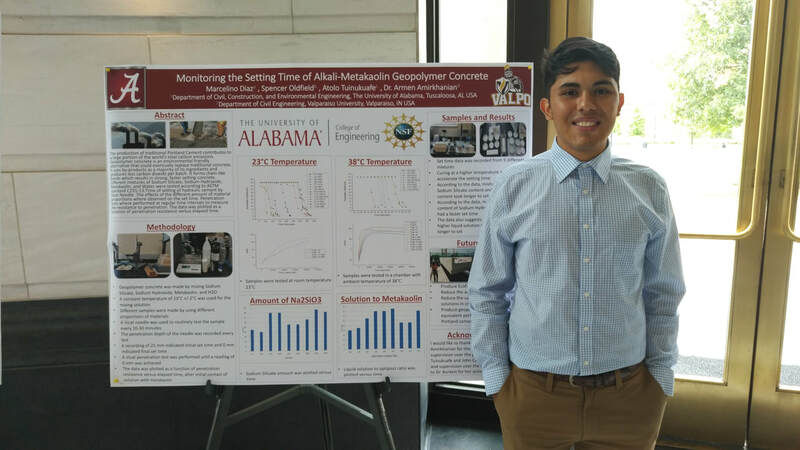 Marcelino Diaz, from The University of Alabama, worked on establishing reference set times for numerous alkali-activated material mixtures at several different temperatures. These set time references, obtained from modified Vicat testing, allowed for alternative methods of set time identification to be examined. The setting of alkali-activated materials is very different than portland cement concrete and little information is available to quantify the behavior, especially as a function of temperature. 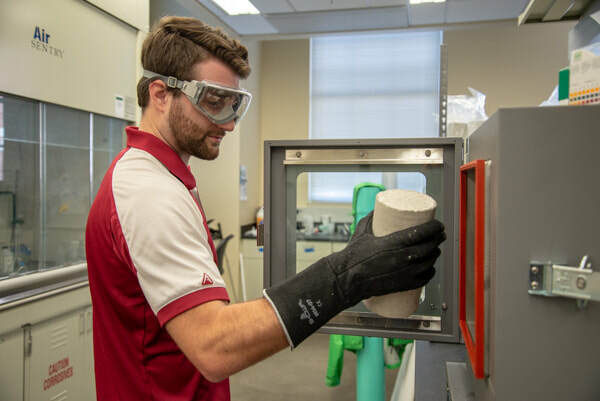 Spencer Oldfield, from Valparaiso University, conducted extensive experiments in an effort to characterize the reaction and setting behavior of alkali-activated materials utilizing isothermal calorimetry. The behavior was examined at three different temperatures as the reaction is extremely sensitive to ambient conditions. The design of experiments model used will allow for identification of fundamental mixture design properties and their impact on the rate and completeness of reaction.